“Some of it could be trash, camper trash, but some of it could be interesting,” said Geologist Frank Kimbler. 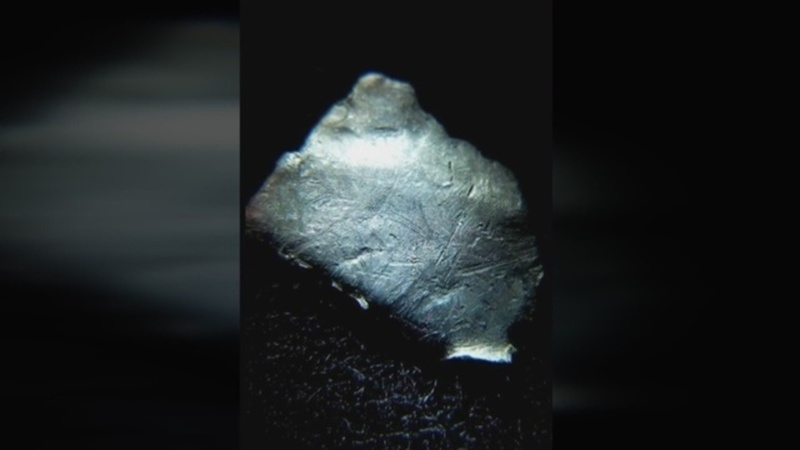 Using a metal detector, he’s collected about 20 metallic fragments the size of a fingernail. Recently, Kimbler became afraid his research was in jeopardy when the Bureau of Land Management (BLM) contacted him, wanting to meet. Kimbler said he was positive he was just a test away from discovering the truth. When the BLM called, he became a little paranoid and even removed his findings from the International UFO Museum in Roswell. Much to his relief, that wasn’t the case. “It had a happy ending. I got clarification on the rules and regulations from the BLM and there was no confiscation of materials,” Kimbler said. He believes the recent commercial interest in the site played a role in how the BLM got alerted to his presence and findings there. Kimbler, a researcher with the International UFO Museum who has been featured in several documentaries, says he will continue to try and find suspected debris but will work with the BLM to do it the right way.